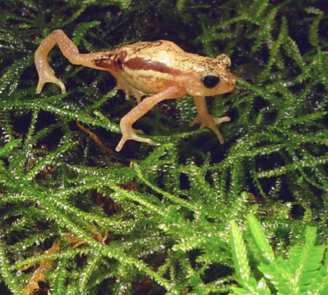 The thumbnail-sized golden colored Kihansi Spray Toad, only discovered by scientists in 1996, was officially declared Extinct in the Wild by the International Union for Conservation of Nature in 2009. But thanks to a captive breeding program begun in 2000, the amphibian has been reestablished in its only known habitat, beneath a waterfall’s continuous spray in south-central Tanzania. From a collection of 499 toads saved in the wild by the University of Dar Salaam, the Wildlife Conservation Society, the Bronx Zoo and Toledo Zoo have multiplied the captive population to more than 6,000. This week, more than two thousand of the tiny toads were reintroduced to their wet native habitat, at the base of the Kihansi Gorge. The toad’s extinction followed the building of a hydroelectric dam upstream which cut the water level and the worldwide emergence of the amphibian fungus. 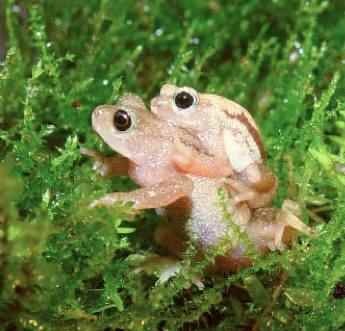 The unusual life cycle of the Nectophrynoides asperginis includes females giving birth not to swimming tadpoles but to tiny froglets. Prior to its reintroduction, several initiatives were made to restore the Kihansi Gorge ecosystem. These included the installation of an expansive misting system designed to replicate the spray zone habitat that was lost after dam construction, and building of bridges and walkways to facilitate monitoring of the gorge. Funded by the World Bank and the Government of Norway, the misting system has been running since late 2000 in order to restore and maintain the native vegetation that the toads once lived amongst, and the invertebrates upon which they fed. At this stage, preliminary ‘soft’ release studies involving toads within mesh cages situated in the native habitat have shown success. A total of 2,500 animals were flown to Tanzania from the Toledo and Bronx Zoos. 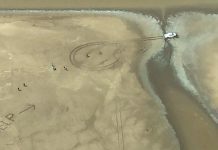 The animals made their international journey safely and were acclimatized before their release. Future releases are expected as researchers work towards reestablishing a viable population in the wild. The reintroduction of the Kihansi Spray Toad is being led by researchers from the University of Dar es Salaam, the National Environment Management Council of Tanzania, and Tanzania Wildlife Research Institute, in international collaboration with scientists from the University of Georgia’s Savannah River Ecology Laboratory, Toledo Zoo, Wildlife Conservation Society, IUCN SSC Amphibian Specialist Group, and Global Wildlife Conservation. “Most reintroductions for amphibians and reptiles have been designed to establish or augment a population of a rare species, but it is extremely exciting to be involved in actually returning a species that was extinct in the wild back to its native habitat.” said Dr. Kurt Buhlmann and Dr. Tracey Tuberville, Associate Conservation Scientists with Global Wildlife Conservation.